Mar 27, 2014, Taipei, Taiwan –FZLED, make of high-performance LED lighting products, is pleased to be participated at the Taiwan Int’l Lighting Show (TILS) in March, 2014. This is a good platform for FZLED to meet its global buyers and business friend. FZLED introduced several latest products, new innovation and design in this event, including LED tube, omnidirectional LED bulbs, night light torch, and aqua light. The most popular product is its torch series. FZLED torches are made of high quality aluminum alloy with anodizing treatment, is anti-scratch, anti-impact, extremely durable. There are bike torch, waterproof diving torch, hiking torch, security torch, head light, flexible work light and the latest night light torch. LED tube T8-05L is the highlight of FZLED in TILS, with several positive feedbacks from visitors, its brightness and the intensity of the light are impressed. The aqua light is also a highly asked product, with colorful and lovely design, visitors loved this new product. The exhibit of FZLED in TILS in TWTC Nangang Exhibition Hall is successful in introducing latest highlight products, and building well recognitions and reputations. FZLED feel confident about the future of LED lighting industry, is continually committed to offering the highest quality LED lighting solutions to its customers. 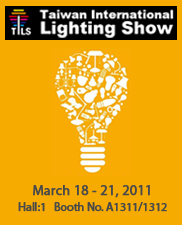 FZLED is a Taiwan-based manufacturer and innovative designer of high-performance LED lighting products. As a sub-division of FZtech Inc., FZLED's products have superior mechanical and thermal design, utilizing the expertise of FZtech. Committed to excellence, FZLED follows a strict TQC for the entire manufacturing process, and conducts R&D projects continuously in an effort to create LED lighting solutions that offer lightweight, high-quality, environmentally-friendly, innovative, and thermally-optimized products to customers. For more information visit FZLED online at www.FZLED.com.tw.